Each one of these films is an example of a shining achievement by women and their contributions to film. Whether it’s behind the scenes or in front of the camera, women take center stage. THE WELL is a 14-minute short about an encounter between two lovers. It pushes the boundaries of narrative filmmaking through the use of long takes and explicit sexual imagery. WOMEN WITHOUT MEN, an adaptation of Shahrnush Parsipurs magic realist novel of the same name, is Iranian artist Shirin Neshat’s first feature length film. The story chronicles the intertwining lives of four Iranian women during the summer of 1953; a cataclysmic moment in Iranian history when an American led, British backed coup brought down the democratically elected Prime Minister, Mohammad Mossadegh, and reinstalled the Shah to power. ENTRE NOS is a bio/true story about a woman’s struggle to survive in New York City with her two children after being abandoned by her husband. The main character, Mariana, totes her two children from the country and culture of Colombia to reunite with her husband in Queens, New York. Her life is devastatingly turned around when her husband abandons the family. As a result, Mariana now struggles with unemployment, eviction letters, eviction notice forms, how to speak fluent English, and experiencing the earliest signs of pregnancy. With nowhere to go Mariana starts experience various types of stress due to her misfortunes. Mariana and her kids have to now be equipped to survive in living in a foreign country as Mariana desperately searches for jobs hiring in NYC. In I BELIEVE IN UNICORNS, Davina is an imaginative and strong-willed teenage girl who often escapes into a beautifully twisted fantasy life. Having grown up quickly as the sole caretaker of her disabled mother, she looks for salvation in a new relationship with an older boy. Davina is swept into a whirlwind of romance and adventure, but the enchantment of her new relationship quickly fades when his volatile side begins to emerge. The film takes us on a road trip through the stunning and complex landscape of troubled young love. From filmmaker Elizabeth Lennard comes a definitive look at one of the greatest visionaries of the Gilded Age — a literary genius, cosmopolitan and activist, whose vivid portrayal of society still resonates today: Edith Wharton. 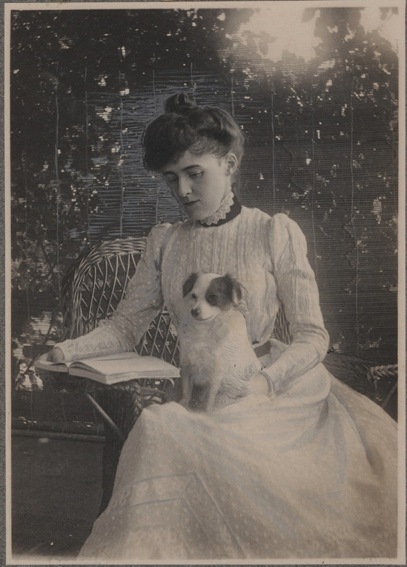 A born storyteller whose career stretched over forty years, Edith Wharton (1862-1937) was the first woman to receive an honorary degree from Yale and to win the Pulitzer Prize for Fiction. Explore the entire WOMEN IN FILM list available ON DEMAND HERE. This entry was posted on Tuesday, February 23rd, 2016 at 9:36 pm	and is filed under Daily News, Film Business, Home Featured One, IndiePix News. You can follow any responses to this entry through the RSS 2.0 feed. Both comments and pings are currently closed.